This was my first ever design project at university 15 years ago. 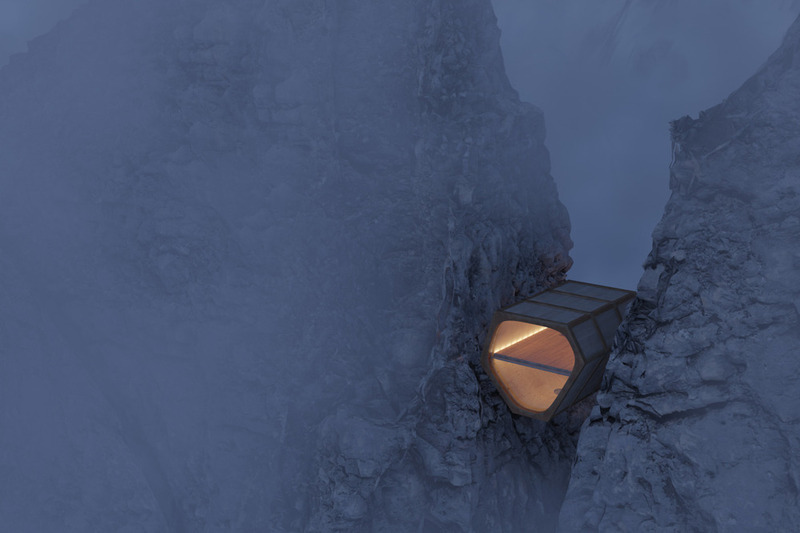 The idea for the climbers hut was based on a piece of climbing equipment that can be lodged into cracks in the rock face to arrest a climber’s fall. The hut consists of a Cor-ten steel cage with oak cladding infill and a smooth, curved plywood interior. Once the hut has been lowered into the cliff face and has wedged itself into place the floor joists can be inserted to ensure a level surface. The lower area is for storage of equipment while the upper area is for sleeping and cooking.